Growing up in Brazil, one of the world’s most influential musical cultures, DJ and producer Alex Poet constantly hones his skills and global experience to give listeners a taste of the international house music scene. Alex had a phenomenal 2018, where he played gigs in the UK, Ibiza, Croatia and China. He also released 3 EPs on his record label, Hot Slice Recordings, collaborating with the likes of Full Intention (UK) and Lenny Fontana (NYC). One of the freshest new talents on the London scene, Alex has already carved out a niche in clubland and on the radio in less than 3 years. His extensive record collection and vast knowledge of music allows him to perform to a diverse range of audiences across the globe. 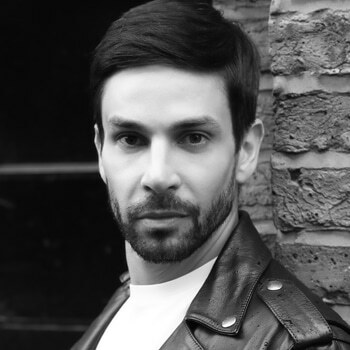 His recent DJ sets include Ministry of Sound (London), Golden Bee (London), Louise Kennedy Fashion Show (London), SunceBeat Music Festival (Croatia) and Ibiza Rock Hotel (Ibiza). Alex Poet can currently be heard twice a month on Mi-Soul radio. His energetic show features cutting edge house, dance and electronica. He also presents a weekly show on Mi-House Radio from 9pm to 11pm on Wednesdays.